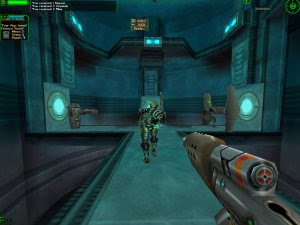 Starsiege: Tribes is a first-person shooter set in the Starsiege universe which pits different warring tribes against each other. This first-person 3D action shooter is designed to focus on cooperative multiplayer gaming. Use single-player training missions to develop the skills required to become veteran warriors, then join multiplayer combat between 2 to 32 players connected over the Internet or LAN on a wide variety of battlefields, fulfilling different objectives, using wide variety of weapons, armor, and equipment.